Everybody likes a garden right? 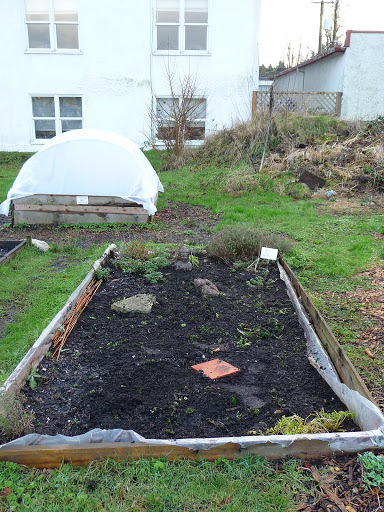 Made a trip down to my community garden plot this morning to do a little clean up after being a slacker for so long. It felt good. I have been debating giving it up this year (due to guilt), knowing there are so many people on the waiting list, and we could have utilized it so much more this past year. My partner and I have officially decided that we will keep it and reprioritize things. It brings us lots of peace and joy and happiness (and food)! These two pictures are of our plot before and after my little clean up. It still needs a lot more work. I’ll add some larger shots from the garden as a whole in another post. Its really a beautiful morning out there. Hope you are enjoying your weekend! 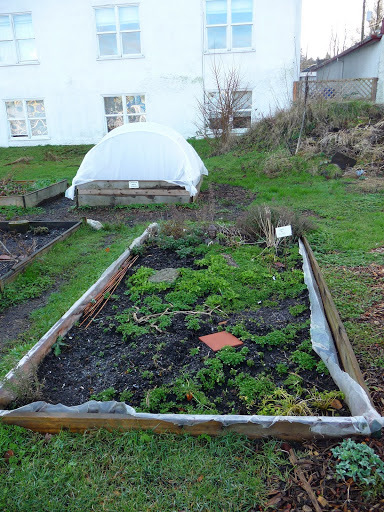 January 8, 2011 in community, community gardens, enjoyment of life, food, green living, happiness, lifestyle, mindfulness, nature, peace, the environment, the outdoors, vancouver. community and garden are two really beautiful words. ← If your days of dressing up like an elf are over for the year and you are ready to lose the tree…..